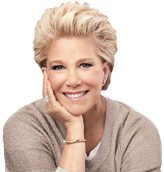 #Cancerfree: Hear it straight from Joan Lunden!! HLN’s Daily Share I #Cancerfree: Hear it straight from Joan Lunden!! Joan Lunden is Cancer Free One Year After Her Diagnosis—Says She ‘Can Make A Difference! Perez Hilton.com I Joan Lunden is Cancer Free One Year After Her Diagnosis—Says She ‘Can Make A Difference!